Every little girl dreams of growing up and being a mommy one day, the instinct is naturally there from the time they are very small. Little girls play "mommy" with their dolls and stuffed animals, loving and taking care of them just like their mom takes care of her. Imagine how much your daughter (or grand daughter) would love to have a fun, stylish baby doll carrier - maybe exactly like the one you have! Whether your little girl is an only child, or now a big sister... she will love carrying around her baby doll in a Boba Mini baby carrier! "The Boba Mini is designed for carrying dolls and toys to help spread the joy of babywearing to children all over the world. The Boba Mini matches our Boba Carrier 3G Classic Collection and is made with 100% cotton." 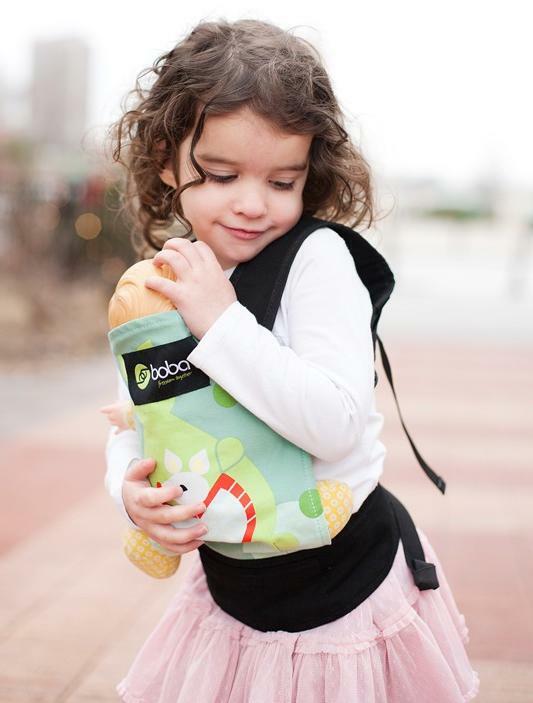 If you have a Boba baby carrier, you can get your daughter (or son) the Boba Mini to match! The Boba Mini is available in a variety of fun, stylish patterns and colors - from simple black or grey to bright and bold! My personal favorites are Soho and Lila! This baby carrier would make the perfect gift for any little "mommy" or "daddy" on your holiday gift list! 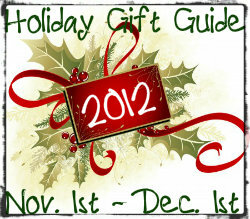 This giveaway will end Nivember 23rd at Midnight EST. Disclaimer: I received a complimentary Boba Mini baby doll carrier from Boba for the purpose of writing a review and hosting a giveaway. Regardless, I only recommend products or services I use personally and/or believe will be a good fit for my readers. The views and opinions expressed on this blog are purely my own. Results may vary. No monetary compensation was received. I would choose the purple one with the leaf print..my daughters favorite color! I would give this to my 6 yr old Leah for her baby doll Lilly Jo who has become an addition to our family :) She would loveee this! I would pick Lila and give it to my 3yr old daughter. I would choose Lila for my toddler! I would pick Glacier for my 2 year old son. Great way to for him to practice for his baby brother on he way. I would pick the tweet. We already have this print and we have been carrying my daughter in it for over a year. I would love for her to have a matching one for her babies. Soho is our favorite color! I like glacier for my little one. I'd choose Lila for my niece! I like Lila for my daughter. I would choose dusk for my 3 year old son! I would chose the Lila for my daughter. I would choose the kangaroo pattern for my 2 year old daughter, Adelaide.